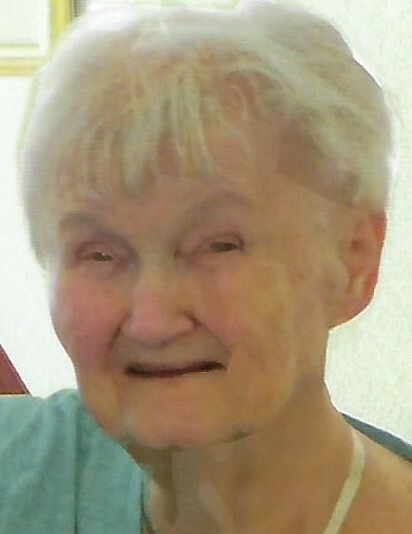 Martha L. Potter, 85, of Charlevoix, passed away on Tuesday, March 26, 2019 at Grandvue Medical Care Facility. Martha was born on July 26, 1933, in Banks Township, MI, the daughter of Bert and Alice (Wierenga) VandenBerg. Apart from raising four children, and helping run a dairy farm as they were growing up, Martha somehow found the time to work at both Charlevoix Hospital, as well as American Mold in Charlevoix and retired from Hoskins Manufacturing. Her home was always open for those who needed a place to stay, or those just looking to visit during “coffee hour”, which was always available. She enjoyed baking, board games, word search books, going on walks, and especially spending time with her grandchildren. She is survived by 4 children, Vicki (Mark) Kalbfleisch of Ellsworth, Deanne Potter of Central Lake, Doug Potter (Teresa Lanterman) of East Jordan, and Ken (Laurie) Potter of Charlevoix; a sister, Virginia Ballard of Collierville, TN; a sister-in-law Janet Vandenberg of Jenison; 3 grandchildren, Christopher Lindemier of Ishpeming, Bridgette Potter (Jon See) of Central Lake, and Justin Potter of Gaylord; and many nieces and nephews. She was preceded in death by her husband, David Potter; a sister, Jean Takens; a brother, John “Bud” VandenBerg; and her parents. Funeral services will be held on Saturday, March 30, 2019 at 1:00 p.m. at Barnard United Methodist Church, 15978 Klooster Rd., Charlevoix, MI 49720. Visitation will be on Friday, March 29, from 2-4 p.m. and 6-8 p.m. at the Ellsworth Chapel of Mortensen Funeral Homes. Interment will take place at Barnard Cemetery when weather permits. In lieu of flowers, memorial contributions may be made to Charlevoix Area Humane Society, 614 Beardsley St., Boyne City, MI 49712, or Grandvue Medical Care Facility, 1728 S. Peninsula Dr., East Jordan, MI 49727.